Did your cousin with the long hair stay over last week? Did you kids put their plates in the dishwasher without scraping them? Maybe it is a hair band down the drain, or Q-Tips that rolled off the sink. Soap scum, bits of food, or anything that shouldn’t be going down a drain end up down a drain. Whether you have hard or soft water can also contribute to the clogs. Once a drain is clogged beyond the usual hot water and bleach method it is best to call the Halifax drain cleaning professionals. Having a backflow of water into your household can be a very icky thing. Not only is it stressful but it can by unhygienic. It doesn’t matter the source of water or where it is backing up it just isn’t a pretty sight to behold. When your drains are this clogged and nothing is getting the obstacle out it is best to call in a professional. Our contractors are skilled at drain cleaning and understand the best ways to get those nasty clogs unclogged. Having lots of experience at getting drains cleaned without too much time or mess we are your number one option. One of the more embarrassing predicaments with clogged drains is the most important drain in our living area. When our toilets are clogged our homes shut down. This can feel like we are living in another century. It is possible that something was flushed down the toilet that shouldn’t have been. We have all heard the nightmare scenario where a toddler with a creative imagination drowns a toy. Until the clog is alleviated it isn’t easy to tell exactly what is blocking it unless there was a witness. With our professionals in Halifax clogged toilet repair is a daily occurrence. When you have an extremely clogged toilet just call us. When it comes times to the unclogging drains our team members focus on our expertise when performing the task. Clogged drains and finding the solution is one of our proficient skills that we have a lot of experience in. This allows the actual process to be done with great time efficiency. When you get help from us for this job, you will not be disappointed. 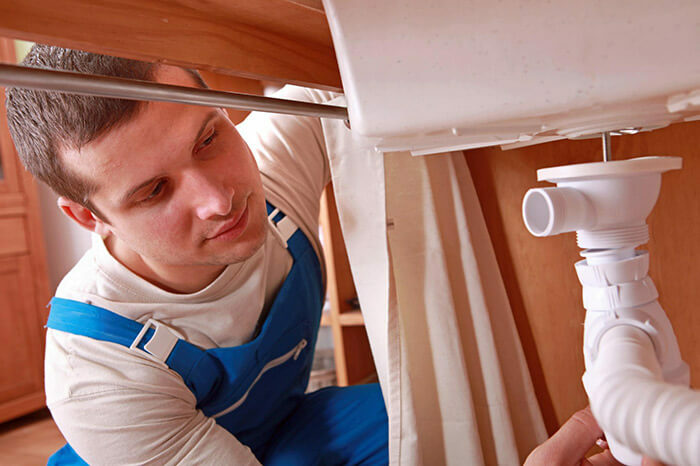 Our knowledge and training that goes into every one of our plumbers comes through so the high standard we try to uphold is delivered to you. Your problem drain will be free of any obstacles and clean to run water in a blink of an eye. Your property is your sanctuary. Bringing workers into it can feel like an invasion. When we are called out to a house we always acknowledge that we are guests in your household. Having respectful manners comes naturally to us, as we are homegrown Halifax plumbers. That being said we still make sure to instruct all our team members to never forget this. When we get to a job and get it done we make sure that our working area is left just as tidy as you had it. We won’t be leaving bits of scrap and garbage but taking everything we brought in, back out.